Have you been thinking about a Leadership position? 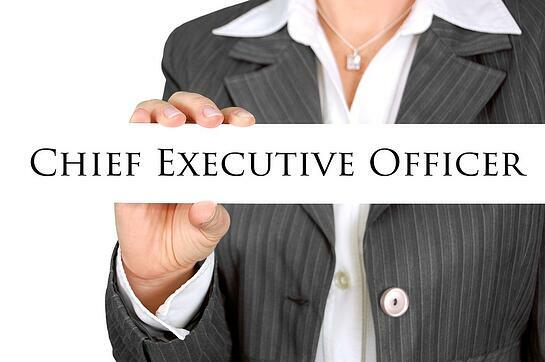 Perhaps you’ve dreamed about being the CNO or CEO at a hospital or health system. This article speaks very frankly about what it takes and what’s involved in these positions. While your clinical experience is vital, understanding business and how it works is just as important. Read on for some very insightful information about these Leadership positions and let us know if you have any comments. Nurses bring a wealth of clinical understanding to the chief executive role, but they have to master business skills and a wider focus if they want to succeed. When Leah A. Carpenter, RN, MPA, went into nursing 30 years ago, she did not intend to follow a career path to administration. In fact, early in her career, she was pretty skeptical about the folks in the C-suite. "I had no desire to be a suit whatsoever," says Carpenter, who is now Administrator and Chief Executive Officer at Memorial Hospital West in Pembroke Pines, FL. "There was a very big disconnect between the C-suite—and even middle management—and the rank-and-file staff. I really didn't have a great deal of respect for or want anything to do with a leadership at that time." Then a bit of what she calls "divine intervention" nudged her into the administrative realm. "I lost my hearing progressively over the last past 20 years, so I'm virtually deaf in one ear," she says. "I had to make a decision whether I wanted to go into management or education, because that's pretty much the two paths that a nurse can take if she's not going to be at the bedside." Despite that unconventional beginning, Carpenter has risen to the top as a CEO. Now she has some insights and advice for RNs who are considering a CEO role. Q. What talents, skills, and insights can a nurse bring to the CEO role? A. Besides the obvious, which is the clinical background and really understanding what it takes to give safe, quality care that is service-oriented, I think I understand the struggle and what the staff needs to be able to deliver that. That allows me to garner a certain level of respect from the team because they know I've been where they are. Q. Do you think nurses who become CEOs face unique challenges? A. Yes, in some respect. It's been easier for me personally in terms of mastering the role because I have the advantage of understanding the intricacies of the clinical world. I think it has been difficult—I've accomplished it but it's taken a while—to garner the respect as a businesswoman as well as a clinician. Not every nurse leader or CNO can transition from the clinical world into the administrative world. Q. 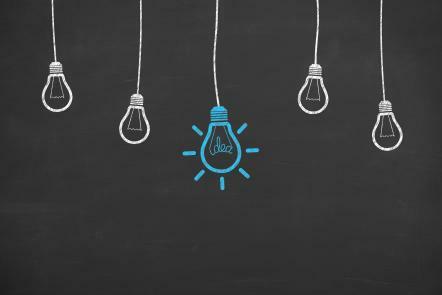 Do you think there's a major difference between CNO thinking and CEO thinking? A. Absolutely. You have to still have the understanding and the insight of the CNO, but there's a completely different skill set that you have to master in order to be a CEO. You have to learn that balance. You can't look at it from just the eyes of a nurse. You're everyone's voice and you represent everyone—the clinical side, the dietary side, the environmental side, the construction side, the legal side. There's a whole scope of skills and negotiation abilities that you need to have to balance all of that. Q. What advice do you have for nurses interested in becoming CEOs? A. It shouldn't be about the title or about the money. It needs to be about the impact: What do you hope to achieve and deliver? What's the end product? For me, the end product was having an impact on safety, quality, and service, but at a table where I could really make a difference by having the experience as well as learning the business end of it. I would steer [prospective nurse CEOs] away from a graduate degree in nursing. I think it limits your scope. They have to look at a business or administration type master's degree. Also, mentors are key. You have to find people who are really good at this, attach yourself to their hip, and learn everything you can from them. Not everybody's not going to be a great leader, but you can still learn from bad leaders. You can learn what not to do, and you can develop yourself into the kind of leader you want to be, knowing the things that don't work. Interested in learning more about this or maybe have a general question? Ask one of our Nurse Leaders today. Today there are four generations of Nurses working in healthcare. In order to achieve a healthy work environment all generations must be culturally sensitive not only towards ethnicity but age as well. Below are a few tips to help managers and staff transition people into leadership roles. Christina is a 29-year-old RN, BSN and she recently obtained her MSN in clinical management. She has worked 3 years as a staff Nurse and wants to move into a leadership position. Some managers, and even some of her colleagues, feel that because of her age, Christina isn’t ready for leadership roles. This scenario describes many millennial nurses in practice settings today—eager to move up the career ladder and pursuing the advanced education that’s needed to do so. But like Christina, they may encounter resistance on their way up. Better understanding the characteristics of the millennial generation can help managers foster healthier work environments and identify potential candidates for leadership positions. And millennial nurses who understand their own generation’s characteristics can more easily transition into leadership roles. In 2016, millennials surpassed baby boomers as the largest generation. Other names for this generation include generation Y (or Why), echo boomers, boomlets, linked generation, generation next, and nexters. Millennials will have a significant impact on the work environment and have largely influenced the development of social media. Companies such as Facebook, Instagram and Snapchat are led by millennial aged CEOs. A generation experiences similar life and public events, and tend to have similar characteristics, values, beliefs, and behaviors. A significant event that influenced the millennials is the terrorist attack of 9/11. After this tragedy, millennials realized tomorrow is not a promise; they grew up with terrorism threats and war on the news daily. These public events have influenced them to live life to the fullest and pursue careers that make them happy. Millennials are eager to impart their ideas, are technologically savvy, and can be quick to leave an organization that does not fit their needs. Millennial nurses don’t want to spend 15 years on a unit before any prospects of advancement become available. They saw their parents’ generation dedicate a majority of their career to one organization only to later be downsized and laid off. Today’s millennial nurse is more transient and seeks positions that offer work life balance and flexibility in schedules. Generations working well together promote workplace satisfaction, which ultimately improves patient outcomes. This sounds like the age old “everyone play nice in the sandbox,” but it contains like most adages, a nugget of truth. To facilitate collaboration and a healthy work environment, nurses of all generations must understand the diversity in today’s workplaces; not just in culture and ethnicity but age as well. Generational differences do not have to result in negativity; positive intergenerational relationships can be formed that benefit all involved. Here are some tips for successful intergeneration cooperation that managers and staff alike can apply. Value differences. Rather than point out negative characteristics of one another, use these varied personalities to value differences. What can an older nurse teach a younger nurse? Possible answers include dedication, patience, and shared life experiences that only come with time. Conversely, younger nurses may help older nurses see the value in varied job roles, the importance of valuing time off, and interest for advanced education. Use generational relationships to your advantage. Find a mentor. If you are a millennial and desire upward career movement, find a leader who inspires you and can help you obtain the position you desire. For older generations, think about succession planning. Positively mentoring younger nurses can prove successful; by helping them understand the process of leadership roles you pass on your legacy. Try reverse mentoring. Tech savvy nurses can help lesser skilled nurses become more proficient with the computers and technology that are a necessity in practice settings. Listen to one another. Value input from all staff of all ages. Respect one another’s ideas, understanding that nurses on the front lines of care may have the best solutions. Nurses of all generations can contribute suggestions for improvement and practice environment enhancement. Christina was paired with a nurse who is older and more experienced than her. She expressed her desire to learn from her how to successfully lead, and they have developed a mentorship. They acknowledge their differences, but have many conversations that exchange ideas and insights about how to be successful in a leadership role, including some innovative ideas for change shared by Christina. Christina obtained a new role as the assistant manager of an emergency department. She is receiving positive feedback from her staff and increased collaboration among staff to help improve their practice environment. Many have commented that she is helping them become more satisfied in their role and workplace relationships. It’s important to remember that not all individuals follow the characteristics of their generational cohort. The values and beliefs are generalizations of the whole; each person is still an individual, so exploring their personal feelings and concerns is still recommended. Stephanie M. Chung is an adjunct professor at Kean University in Union, New Jersey and is currently enrolled in the PhD in nursing program. She is a proud millennial. If you are interested in more information on leadership roles or just have a question, ask one of our Nurse Leaders! Pew Research Center. Millennials overtake Baby Boomers as America’s largest generation. April 25, 2016. Shaw H. Sticking Points: How to Get 4 Generations Working Together in the 12 Places They Come Apart. Carol Stream, IL: Tyndale House Publishers; 2013. Are you a leader? Are you someone people look to for advice or to make decisions in a time of crisis? Leaders come in all shapes and sizes. Some are natural leaders, they just know what to do. Others become leaders by observing and learning leadership skills through their mentors or family members. At work, are you someone who leads the way? Do you take a stand when you see something is wrong? We can’t all be leaders, but are there times you just naturally step up to the challenge? Every profession has members who rise into leadership, and effective leaders can make all the difference. This cannot be more true of healthcare and nursing, arenas that necessitate highly collaborative teams. Leadership can be taught, but it’s also intuitive, and some nurses have this gift. What makes a particular nurse embody the characteristics of true leadership, even when he or she has no official title? A nurse who cultivates deep awareness of both self and others demonstrates a powerful form of leadership. This type of nurse is tuned in, alert for others in distress, and leads to collaborate in ways that decrease such distress. This nurse tunes into both individuals and the collective, leading by example while leaning into situations to positively impact the whole. The shadow for this type of consciousness is hypervigilance and controlling behavior, which a highly developed self-awareness can preclude. Some nurses are skilled at taking the reins, even when not in official positions of leadership. These nurses see problems, bring them to the team’s attention and proactively seek ways to alleviate the problem. We’ve likely all known nurses who respond to problems with a statement like, “It’s been that way a while; it’s not my responsibility to fix.” This common attitude can breed a culture of intellectual laziness and disregard for the bigger picture. Proactive, thoughtful nurses see problems and involve others in manifesting solutions that truly benefit everyone. This is leadership in action. Some nurses demonstrate leadership by using their voices. This may involve naming a problem, such as noticing a bully on the unit, or otherwise identifying something that’s amiss. Our silence can serve as complicity, such as not speaking up or taking action in response to a bully. The empowered nurse who speaks the truth overcomes his or her fear by taking a calculated risk and naming what needs to be named. Speaking up gives voice to those who are too frightened to speak for themselves. This type of nurse leadership can empower others to also speak out, and can be a powerful way to lead by example. Natural nurse leaders intuitively lead the way, sometimes dragging their official leaders with them. We all contain the seeds of leadership, but some more readily demonstrate those characteristics. Those nurses who skillfully and naturally lead do so from an ability to see beyond themselves. These nurses consider the good of the whole, align their own actions with that ideal and proactively seek change. Nurses can lead the way in any workplace situation. Tune in, see the 10,000-foot view, consider the good of the whole, use your voice and lead from a balance of intuition, savvy critical thinking and conscientious collectivism. How do you lead in your daily work? Share your experiences with us. Modern Healthcare readers selected four nurses in leadership roles to be ranked on this year’s 100 Most Influential People in Healthcare list, based on their effect on the industry. “It’s great for nursing, because we do this together,” said Marla J. Weston, PhD, RN, FAAN, chief executive officer of the American Nurses Association, who made the magazine’s annual list for the first time, ranking 45th. Other nurses in leadership who made the list included Marilyn Tavenner, agency administrator with the Centers for Medicare & Medicaid Services (CMS), listed fifth; Sister Carol Keehan, DC, MS, RN, president and CEO of Catholic Health Association in Washington, D.C., 34th; and Maureen Bisognano, president and CEO of the Institute for Healthcare Improvement (IHI) in Cambridge, Mass., 50th. Weston was one of 19 new people to join the list, which is dominated by elected and appointed government officials, top executives of health care industry corporations and physicians. Anyone can nominate a candidate. The magazine received 15,000 submissions for 2014. The top 300 nominees, including 10 nurses, were presented to Modern Healthcare readers for voting. Half of the candidates are selected through the reader votes and the other half by the magazine’s editors. While not a nurse, RoseAnn DeMoro, executive director of National Nurses United (NNU), with 185,000 members, made the list again, at 41st. “With the disproportionate economic influence of the hospital and insurance giants in particular, it is especially gratifying to see the name of RoseAnn and NNU on this list,” said NNU Co-president Deborah Burger, RN. With the relatively small showing for nursing on this year’s list, opportunity exists for more nurses to move up to positions of leadership and influence. Weston pointed out that nurses practice throughout the health care system, not only in hospitals but in home health, public health, primary care and long-term care. They observe when the system works and when it doesn’t for patients. Weston expects more nurses will make the list in the years ahead. She encourages nurses to talk more about the work they do and the effect it has on people. Weston has forged partnerships with other disciplines when delivering clinical care and when transforming the health care system. Increasing the number of nurses in leadership positions is one of the key recommendations of the Institute of Medicine’s groundbreaking Future of Nursing report and a central goal of the Campaign for Action. Two members of the Campaign for Action’s strategic advisory committee made the 2014 Most Influential People in Healthcare list: Leah Binder, president and CEO of The Leapfrog Group, and Alan Morgan, CEO of the National Rural Health Association. Additionally, several members of organizations on the Champion Nursing Council and Champion Nursing Coalition were recognized. 5. Marilyn Tavenner, agency administrator with the Centers for Medicare and Medicaid Services, began her career as a nurse at Johnson-Willis Hospital in Richmond, Va., and spent 25 years working in various positions for HCA Inc., culminating as group president for outpatient services. Tavenner was one of several people in government to make Modern Healthcare’s annual list of the 100 Most Influential People in Healthcare. 34. Sister Carol Keehan, DC, MS, RN, president and CEO of Catholic Health Association, started out as a nurse and served in the 1980s as Providence Hospital's vice president for nursing, ambulatory care, and education and training. She joined the Catholic Health Association in 2005. She told NurseZone that she hopes many more nurses will bring their passion for patient care to make health care better for everyone. 45. Marla J. Weston, PhD, RN, FAAN, chief executive officer of the American Nurses Association, has held a variety of nursing roles, including direct patient care in intensive care and medical-surgical units, nurse educator, clinical nurse specialist, director of patient care support and nurse executive. She has served as executive director of the Arizona Nurses Association and deputy chief officer of the Veteran’s Affairs Workforce Management Office. Weston reported that she has had great role models and mentors in her nursing career. 50. Maureen Bisognano, president and CEO of the Institute for Healthcare Improvement, began as a staff nurse in 1973 at Quincy City Hospital, moved up and became chief operating officer in 1986, before joining IHI. Bisognano is one of many quality improvement leaders on this year’s Most Influential list. National Nurses Week traditionally is a time to recognize the crucial contributions registered nurses (RN) make to individuals' health and the U.S. health care system; this year, it's also a time to sound a note of urgency about the future, as projections signal the need to fill about 1.1 million RN jobs by 2022. The 2014 National Nurses Week theme is "Nurses: Leading the Way," emphasizing nurses' roles in improving the quality of health care; participating as key members of collaborative, performance-based health care teams; and continually advocating to ensure patients remain the focal point of health care. National Nurses Week takes place May 6-12, ending on the birthday of Florence Nightingale, the founder of modern nursing. "All nurses are leaders, whether they are in direct patient care, administrative roles, or meeting consumers' needs in new roles such as care coordinators or wellness coaches," said ANA President Karen A. Daley, PhD, RN, FAAN. "This week, we acknowledge nurses' vast contributions, as well as the need to develop the nursing workforce to meet our growing needs and improve the health of the nation." As nurses assume more leadership roles in a system that is transforming its focus to emphasize primary care, prevention, wellness, chronic disease management, and coordination of care, a confluence of factors is driving the need for a huge increase in the number of RNs. About 11 million individuals have gained better access to health care through private health insurance marketplaces and the expansion of Medicaid under the Affordable Care Act; Baby Boomers are projected to swell Medicare rolls by 50 percent by 2025; and 53 percent of nurses are over age 50 and nearing retirement, according to a National Council of State Boards of Nursing survey. Increase funding for federal Nursing Workforce Development Programs (known as Title VIII of the Public Health Service Act, which marks its 50th anniversary this year). Funding generally has stayed level in recent years for these programs that assist in educating, training, and placing new nurses in areas of need. Recruit more nursing professors and increase incentives. Nursing faculty salaries generally are lower than what many faculty members could earn in clinical practice (an average of $68,640 compared to more than $91,000 for nurse practitioners). Many nursing professors also are nearing retirement age – nearly 3 of 4 are over age 50 – and will need to be replaced. Ensure an adequate number of clinical training sites so nursing students can fulfill educational requirements. Encourage hospitals and other employers to hire new nursing graduates now to benefit from mentoring from experienced RNs, and to mitigate the impact of the projected exodus of seasoned RNs in the coming years. “Nurses serve in a variety of professional leadership positions, from administrators and unit managers to chief nursing officers and hospital board members. Today, the challenges of leading in an increasingly complex health care environment are great; therefore, nurses need to take every opportunity to develop and hone their leadership qualities and skills. The question for every nurse—no matter the stage of her or his education or career—is: Are you the best leader you can be?” writes Sue Hassmiller, senior adviser for nursing at the Robert Wood Johnson Foundation and director of the Future of Nursing: Campaign for Action, and Julie Truelove, student at the University of Virginia School of Nursing, in an article in the January 2014 issue of the American Journal of Nursing. The article, “Are You the Best Leader You Can Be?,” discusses the Institute of Medicine’s recommendations on nursing leadership in the 2010 report, The Future of Nursing: Leading Change, Advancing Health. The recommendations call on the health care system to “prepare and enable nurses to lead change to advance health,” by developing leadership programs and providing increased opportunities to lead. The article features a table of nurse leadership programs for nursing students and professional nurses as well as a nursing leadership resource list. Table: Leadership at Every Level - Click here to view the full table. “Nurses with strong leadership and management skills are better prepared to serve individuals and their families and the community, and to collaborate with colleagues,” the authors write. Regardless of where you are in your career, “a leadership program is a step toward becoming the best leader you can be.” Read the full article here. Barbara Nichols, a national nurse leader who broke through color barriers to become the first Black president of the American Nurses Association, likes to point out that she entered the profession in its dinosaur days—before the advent of cardio-pulmonary resuscitation, intensive care units, and pre-mixed narcotics. It was also prehistoric in another way; Nichols became a nurse in the 1950s, when a national system of institutionalized discrimination kept minorities from entering and advancing in nursing. In those days, many hospitals were segregated, as were many nursing schools. Those schools that weren’t often capped the number of students from racial, ethnic, and religious minority backgrounds with rigid quota systems. Few minority nurses earned baccalaureate or advanced degrees, and fewer still rose to become leaders of the profession. But Nichols overcame those hurdles and eventually made history as the first Black nurse to hold national and state-level nursing leadership positions. Throughout her career, she has been helping others from underrepresented backgrounds enter and advance in the profession—a mission she continues at the age of 75 as director of a diversity initiative in her home state of Wisconsin. Not that it was easy. Nichols landed a highly coveted spot at Massachusetts Memorial School of Nursing in Boston, where she was one of only four Black students in her class. She went on to earn her bachelor’s degree in nursing at Case Western Reserve University, where she was one of two Black students in her class. She took a job at Boston Children’s Hospital, where she was the only Black registered nurse (RN) on staff. She then joined the U.S. Navy, where she was one of a handful of Black nurses on a staff of 150. And lead she did. In 1970, Nichols became the first Black woman to serve as president of the Wisconsin Nurses Association. To this day, she is still the only ethnic minority to serve as the organization’s president in its more than 100 years of existence. In 1979, Nichols went on to become the first Black president of the American Nursing Association—an organization that once banned Blacks—and served for two terms. In 1983, she became the first Black woman to hold a cabinet-level position in the state of Wisconsin when she was appointed to serve as secretary of the Wisconsin Department of Regulation and Licensing. She was named a Living Legend by the American Academy of Nurses in 2010. “I’ve been a role model who says that Blacks can achieve and can participate in meaningful ways in issues that are central to the profession,” she says. A lot has changed since Nichols first entered the profession. Nursing schools are no longer segregated and no longer use quotas. Employers are working harder to recruit and retain nurses of color, she adds, and more nurses from underrepresented backgrounds are seeking higher degrees. But there’s still a ways to go before the nursing workforce reflects the increasingly diverse population it serves. The RN workforce is 75 percent White, almost 10 percent Black. and less than 5 percent Latino, according to a 2013 report by the Health Resources and Services Administration. A more diverse nursing workforce is needed to provide culturally relevant care, improve interaction and communication between providers and patients, and narrow health disparities, according to the Institute of Medicine (IOM). After six decades in nursing, Nichols is not giving up. A visiting associate professor at the University of Wisconsin-Milwaukee College of Nursing, Nichols recently took a position as project coordinator for the Wisconsin Action Coalition to help diversify the state’s nursing workforce. Action Coalitions are the driving force of the Future of Nursing: Campaign for Action, which is backed by the Robert Wood Johnson Foundation and AARP and aims to transform the nursing profession to improve health and health care. It is grounded in anIOM report on the future of nursing released in 2010. “Our goal is to embed, and ground, all our activities with a diversity component,” Nichols said. To do that, she and her colleagues are gathering data about the diversity of Wisconsin’s nursing workforce, partnering with interested parties, raising money to sustain efforts to diversify the profession, and analyzing ways to promote diversity through policy and practice. She also supports the Campaign’s national efforts to implement diversity planning, recruit and retain students and faculty from underrepresented groups, and promote advanced education and leadership development among minority nurses. Editor’s note: At American Nurse Today, we believe every nurse can be a leader. This article is the first in what will be occasional guest blogs by Rose O. Sherman, founder of the Emerging RN Leader blog (www.emergingrnleader.com). In addition to her guest blogs, Rose will contribute articles on a regular basis to help nurses achieve their leadership potential. You may know that you want to be a nurse leader but are unsure about your next career step. It is important to recognize that you don't have to be a chief nursing officer or a nurse manager to "lead." You can begin leading from wherever you are in the organization. If you manage your career around this concept, you will focus less on your linear progression up the career ladder and more on your own personal mastery and impact. Honest feedback about whether or not you demonstrate these qualities is important at the beginning of a leadership career. A good mentor can help you grow as an emerging nurse leader and open doors to new learning. Unlike the preceptor relationship, which you may be familiar with in the clinical setting, a mentor provides career guidance and helps you become more aware of your strengths and areas where you need development. An ideal mentor for an emerging nurse leader is someone who is knowledgeable, has leadership experience, and is interested in helping you to grow. First impressions do count if you want to get noticed. Professional dress and being well groomed matter in creating a good image. When nurse leaders see nurses with wrinkled scrubs and dirty shoes, the impression is generally not favorable. You want to be remembered as someone who will be a good candidate to represent the organization. It is important to stay updated by reading professional journals and attending educational programs. Be a "go-to person" for new information in your specialty area. In addition to staying updated clinically, pay attention to the news and what is happening with health policy. Think about how proposed changes in health reform could impact your organization and share your knowledge with other staff. Recognize that health care is also a business and become knowledgeable about the business of caring. Take leadership roles at the unit level. They can be small but it is a great way to get started. Volunteer to take a leadership role on a unit shared-governance committee. Take charge when you have the opportunity. This is an excellent way to connect with other staff and leaders in your organization. Volunteer for organizational committees and task forces, even if it does mean coming in on your day off to participate. Leaders do notice when staff members are committed enough to an organization that they are willing to give back some of their personal time to be involved in activities. Join the heart walk team, the breast cancer walk, the March of Dimes, or other teams your organization may put together to support the community. Get others on your unit to join you. You will find that organizational leaders participate in these activities, and it can be a great way to introduce yourself in an informal setting and meet many new people. Join a professional nursing association and attend the local meeting. You will probably meet staff and leaders from your organization that you might not interact with in other forums. Local professional associations are always looking for members who are willing to assume some leadership responsibilities. Holding office in a local association can be a good way to gain recognition. Be ready to share your skills and knowledge with others. Sharing and volunteering to be a preceptor can be a great way to get noticed. Your manager will appreciate your willingness to be a strong team player. Be the first to congratulate others for their achievements and be the person who helps create a healthy work environment on your unit. I once asked a great nursing leader what he attributed his success to. He told me that he did what he said he was going to do when he said he was going to do it. This will get you noticed, he assured me, because so few people actually keep their commitments. This is really great advice. If you volunteer, be sure to follow through. There has never been a better time to choose nursing leadership as a career goal. The retirement of a large number of baby boomer nurse leaders will result in great career opportunities by the end of the decade. Oprah Winfrey often says that “luck is preparation meeting opportunity.” The time to start preparing for these opportunities is now.